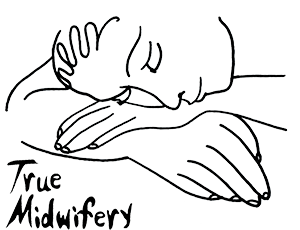 If there was one thing you had known about becoming a midwife before you began training that you know now, would you still have chosen to become a midwife on call for home births? I knew that attending home births and being on call would entail all of these when I chose to walk the path of midwifery and attending home births but the realities of it are quite different from any selfless fantasies one might have about it. Seeing the disappointed faces of my children as we turn around the moment we walk into the library or leave the beach, or miss a much loved extra-mural activity. Having to miss birthdays. Leaving for a birth on Christmas day. Missing New Year’s. Missing my very good friend’s wedding. And having that bloody phone so close to my head as I sleep and having to jump up and check EVERY SINGLE MESSAGE that pings its way into my world at all hours of the day. I curse at pointless emojis and kisses and notifications that I have won R500 000 from Coca-Coal via sms – I am trying to sleep! And having to check and answer every message and call even when you need to desperately sleep after two back to back births. Being on call means being available. 100% available. It means being willing, and able, to drop everything, no matter how important and valuable, to go and sit and just be at someone’s birth. If you want to practice a path of non-attachment then being an on-call midwife is it. I have had a nice break from being on call, teaching in Spain and Portugal in July. Being able to leave my phone in my caravan while I taught, or letting it die completely for a day or two was a rare treat. Now I am back in South Africa and life carries on. Being with my children. Four children. Homeschooling. Extra murals. Outings. Housework. Meetings. Teaching. Seeing clients. Walking on the beach. And somehow I am supposed to drop everything and fit a birth into all of this? This busy, full, demanding life I have created for myself? And yet, somehow, when that phone rings or pings, and it is time to go – whether in the library, or the beach, or at breakfast, or more than likely, in the middle of the night, while it is raining and I am in the deepest sleep – time is somehow able suspend itself and I am able to make space for this woman birthing her baby. 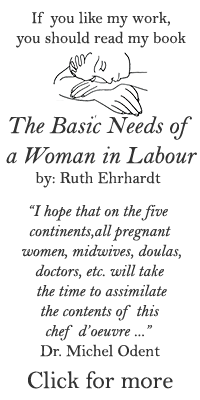 My mother was a midwife and her attending births was often more of a nuisance and an annoyance than fascinating to me while growing up. It meant that she would be tired and unavailable. But, it also meant, that when I fell pregnant, she dropped everything to be with me in labour and for the first time I saw how essential the work she did was for the woman in labour – her calm and presence held me through that experience and afterwards I thought, “This is the coolest job on the planet!” and wanted to be able to do just that for women in labour after that. But why do it? Why sacrifice family, children, friends? Is it worth it? It is. It really is. And I hope to be available in the same way for my own daughters one day.